Freight rates are likely to fall further as carriers stand firm in their reluctance to reduce capacity on the Asia-Europe and transpacific trades in the winter slack season, Alphaliner warned. The overcapacity-plagued market coupled with upcoming delivery of newbuilds are expected to exert further pressure on the rates. According to Alphaliner, 60 new vessels capable of carrying 14,000 to 19,000 TEUs are due to be delivered starting from now through December 2015, mostly in the trades to and from northern Europe, further complicating already struggling spot rates. 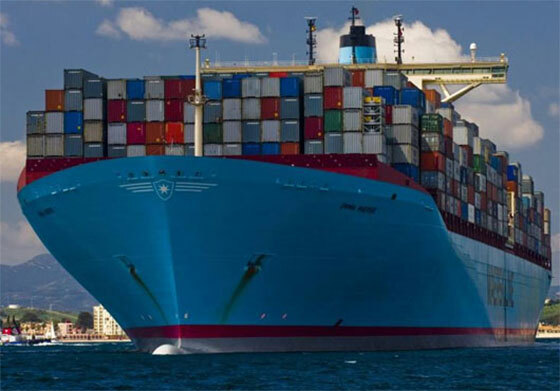 "The deliveries will push 8,000- to 13,000-TEU ships into the trans-Pacific, Latin America, Mediterranean and Middle East trades," Alphaliner said, fueling the already overcapacity-stricken regions. An additional 90 ships of 8,000 to 13,000 TEUs are scheduled for delivery during the same period. What is more, attempts to restore market balance through vessel sharing agreements such as 2M and Ocean Three are also creating a sentiment of uncertainty. Transpacific Stabilization Agreement (TSA) is recommending that its members seek to conclude 2015-16 contract rates, at levels at or above USD 2,000 per 40ft to the West Coast and USD 3,500 to the East Coast from all North Asia ports. According to TSA executive administrator Brian Conrad "rates will continue to fluctuate with the market according to origin-destination pairs, service requirements, routing and so on, but a common base guideline is essential for lines to maintain basic service levels and, beyond that, expand their offerings based on customers' needs."